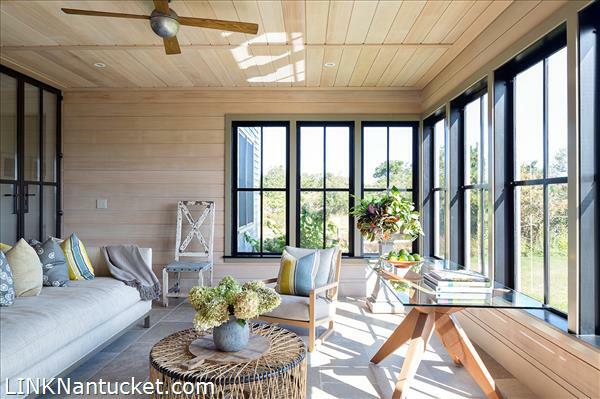 This tranquil space echoes the habitat on which it sits. 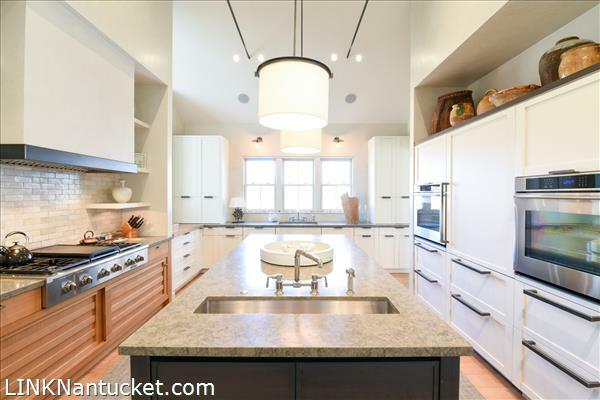 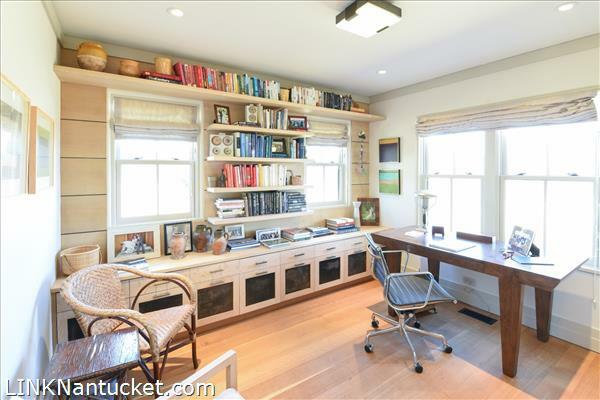 A beautiful house and garage with studio, thoughtfully designed by Workshop APD, rests on 1.77 acres overlooking conservation land and beyond to Nantucketâ€™s historic Downtown. 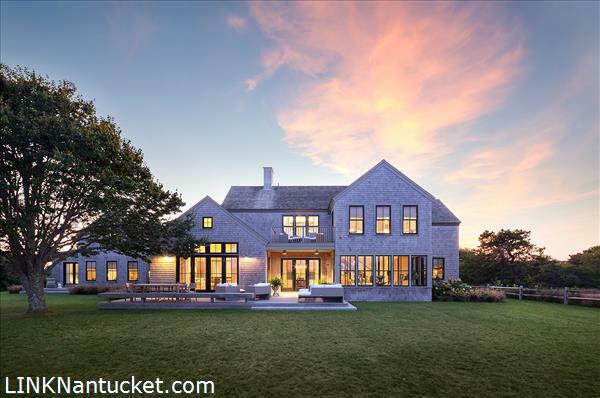 The light five bed, five and one half bath main house offers three floors of living space while the two-car garage has a finished second floor and full bathroom. 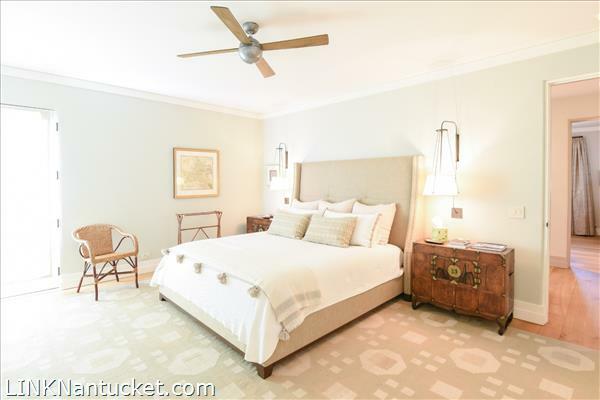 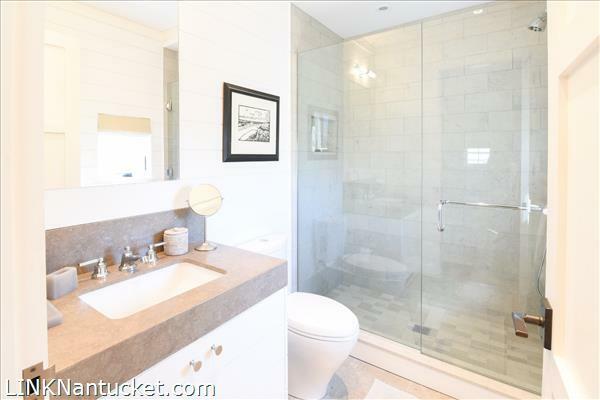 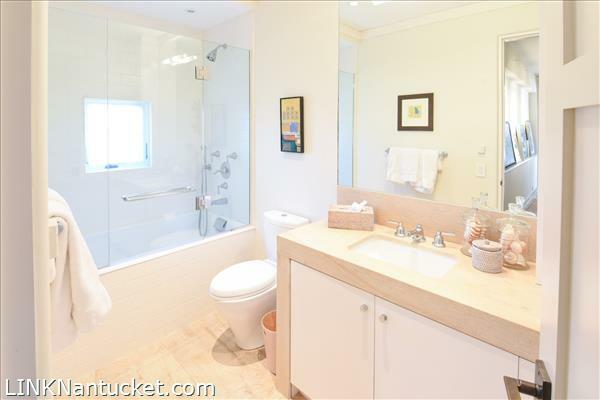 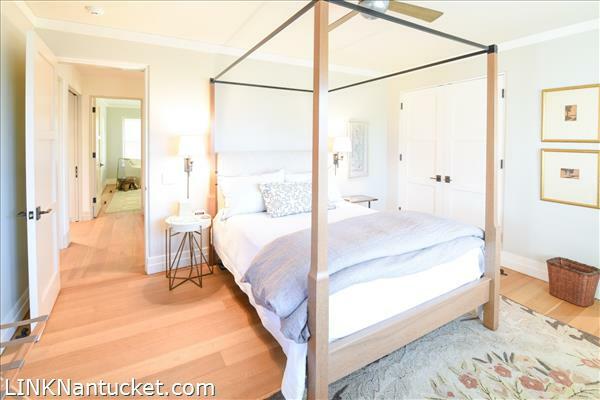 Complete with a bluestone patio, this relaxing property is beautiful throughout all of Nantucketâ€™s seasons. 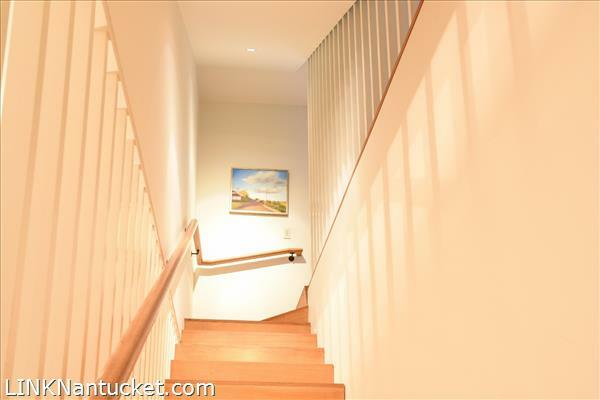 The serenity and peacefulness of 30 Crooked Lane are felt in the details, of which none were overlooked. 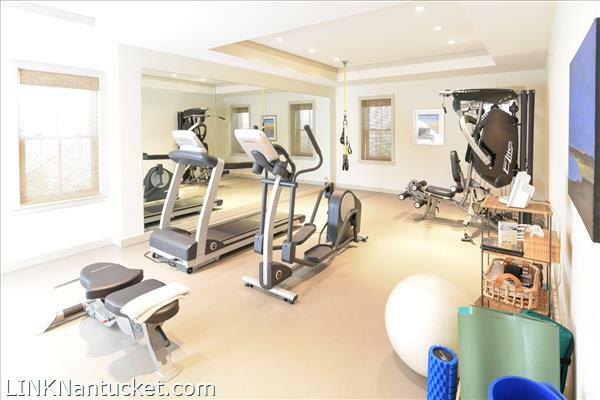 The fully finished lower level features a bathroom with a shower, a bedroom with ample closet space, and a gym. 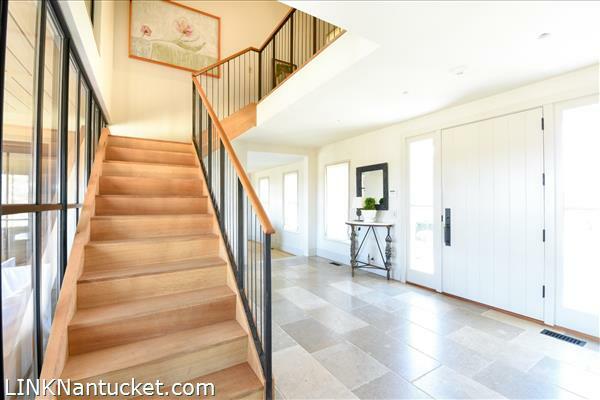 Upon entering into the foyer, you are immediately drawn to the views across the expansive back yard which is visible through the walls of windows in the sunroom. 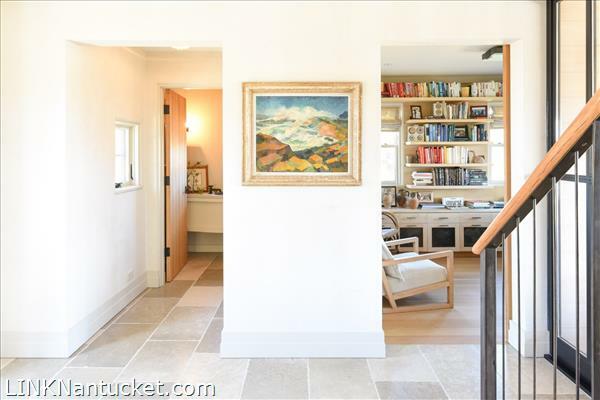 Off of the foyer are a study and powder room. 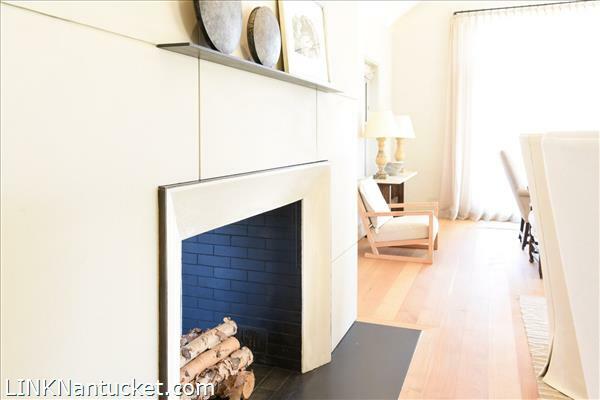 To the right of the entrance is the formal dining space with glass doors that look to the yard, as well as a double-sided fireplace that looks into the sitting room. 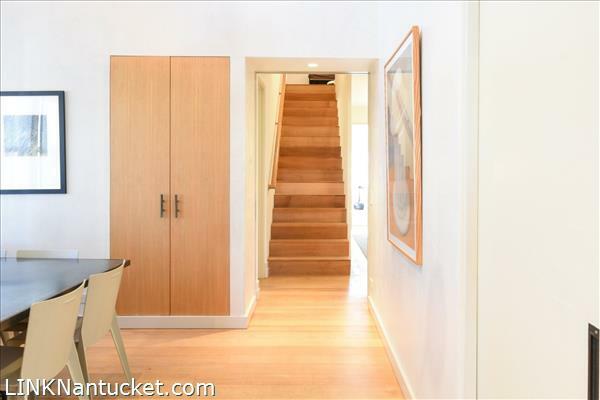 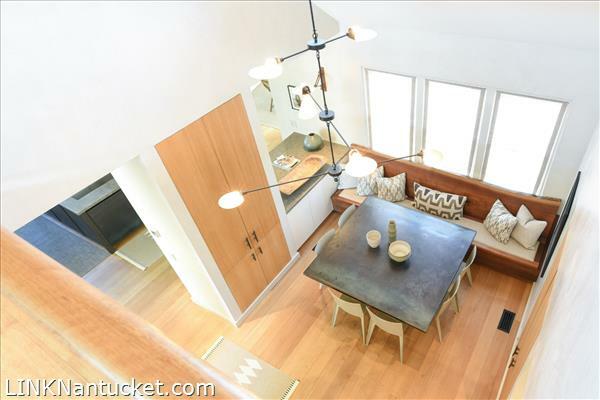 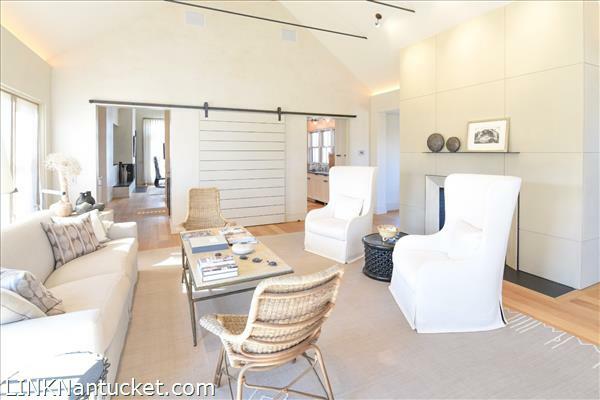 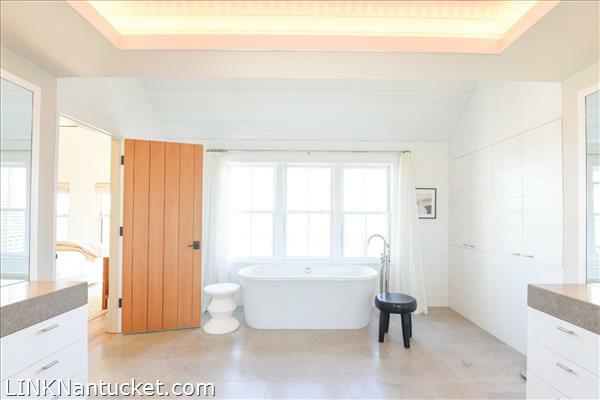 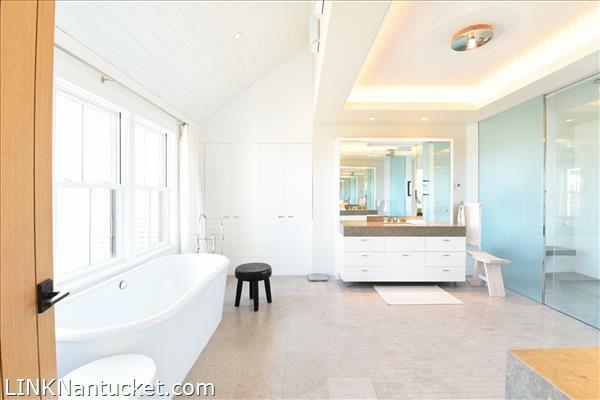 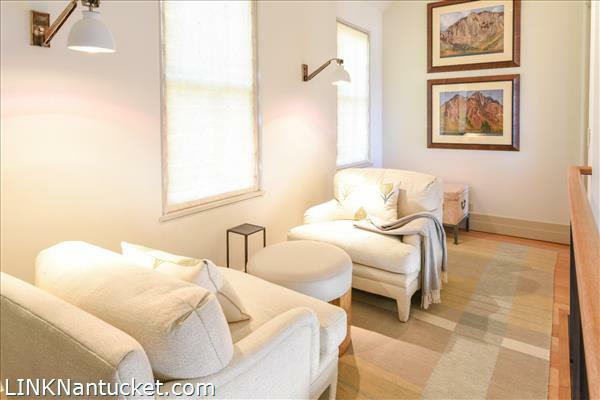 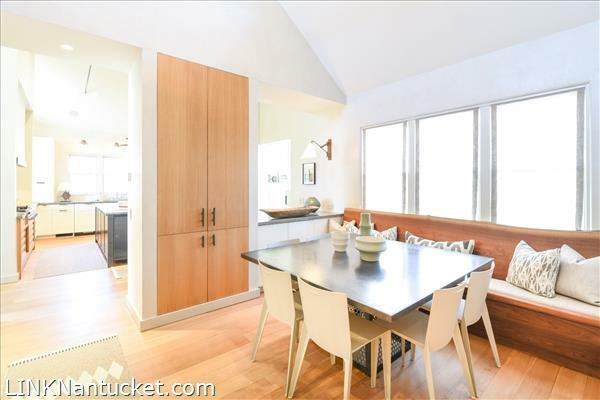 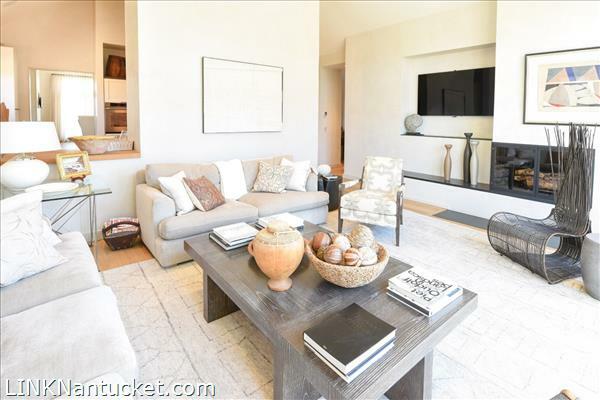 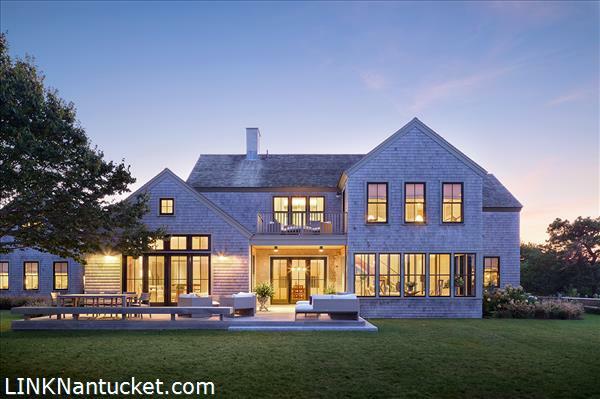 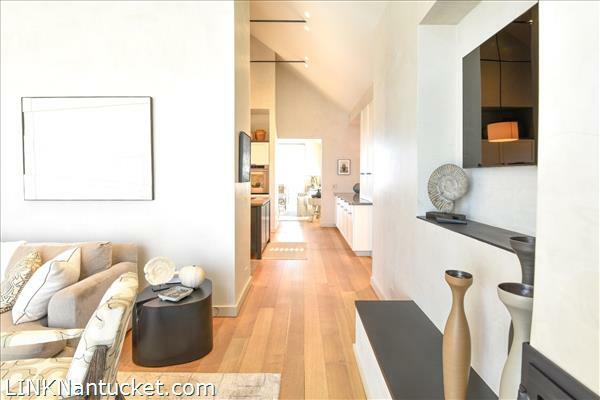 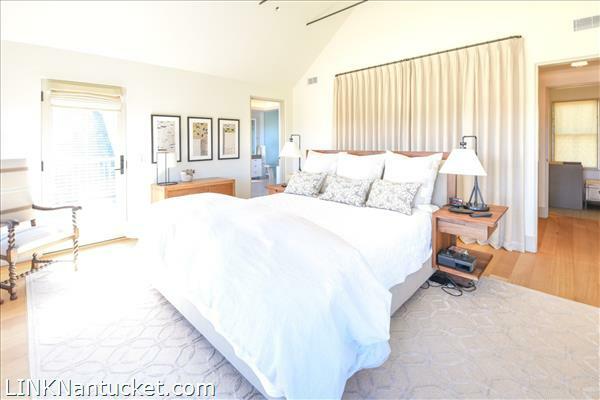 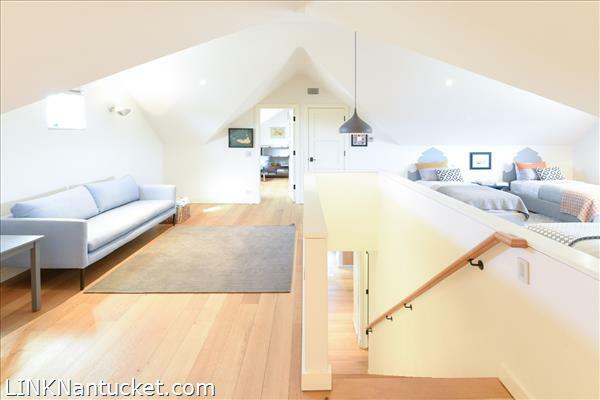 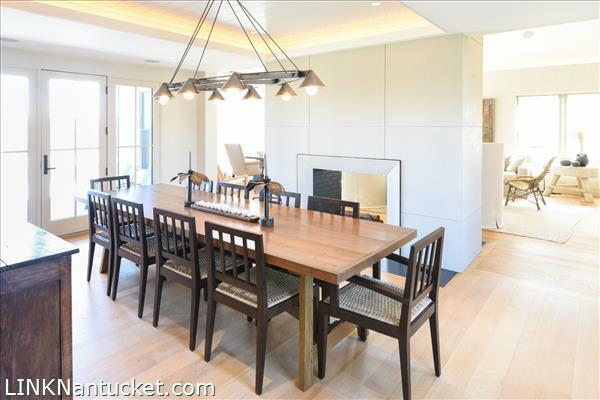 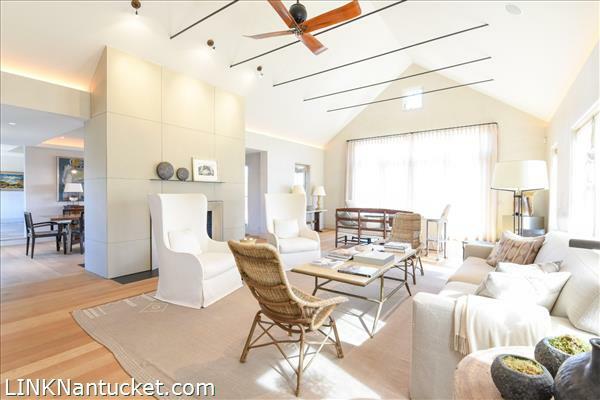 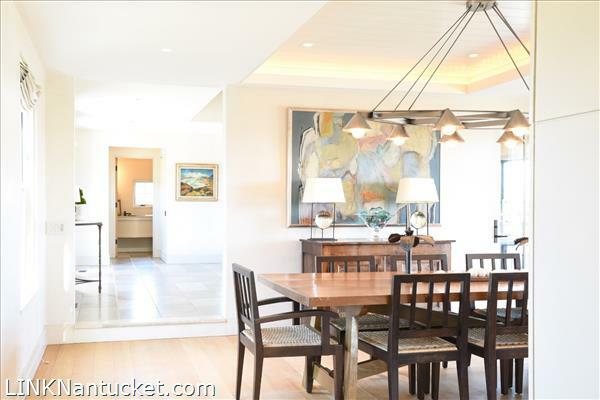 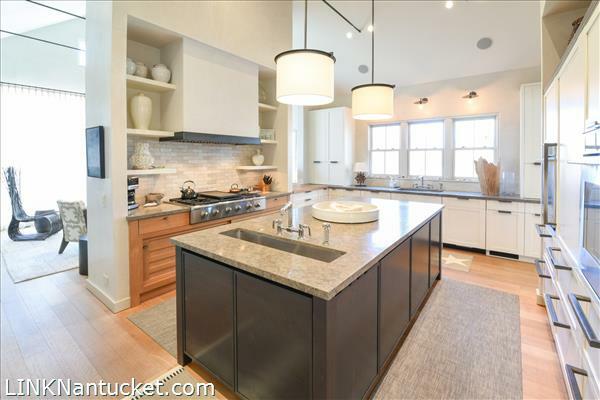 The large sitting room has glass doors that allow one to capture Nantucketâ€™s natural beauty, as well as vaulted ceilings. 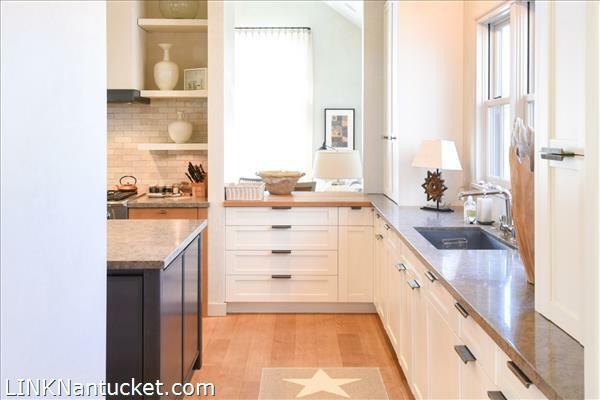 From this space, you enter into the chefâ€™s kitchen featuring an island, a built-in Sub-Zero refrigerator, two Bosch dishwashers, a six-burner Dacor stove, and a beverage refrigerator. 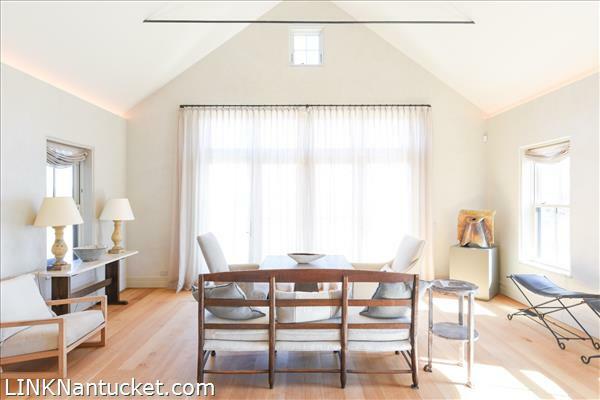 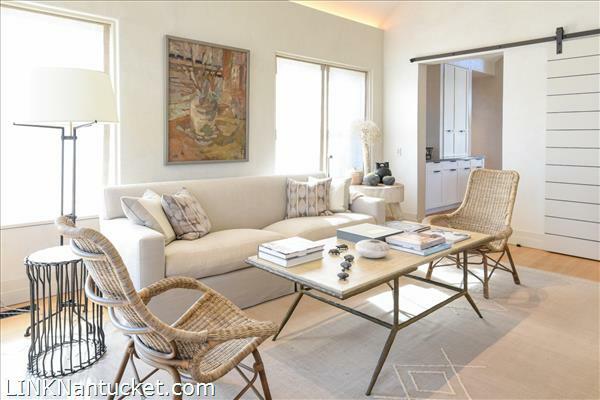 Adjacent to the kitchen is the bright family room with glass doors that look onto the front patio and garden. 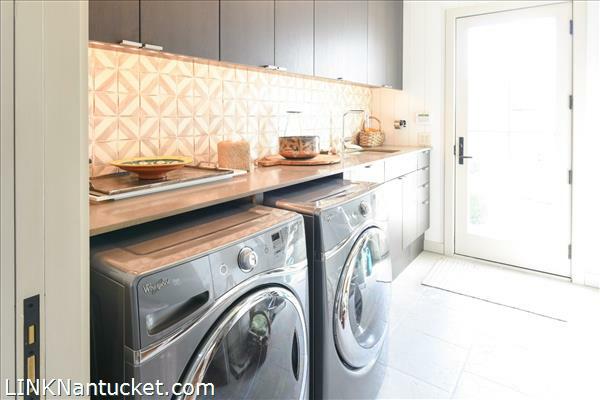 Off of the kitchen is a dining nook and hallway that leads to the laundry area, a full bathroom, and three bedrooms. 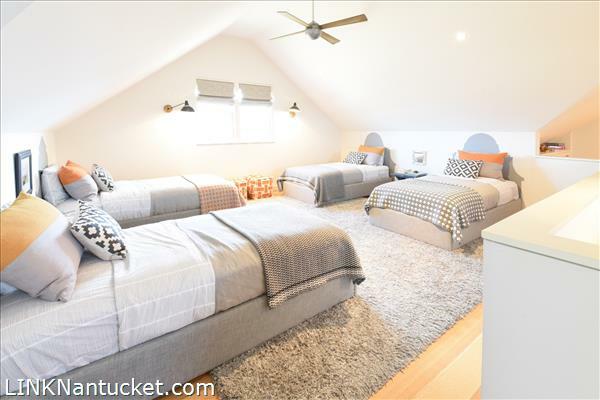 One bedroom has an entrance to the deck, another has an en-suite bathroom, and the bedroom at the end of the hall has an en-suite bathroom with a shower and bath, as well as an entrance onto the deck. 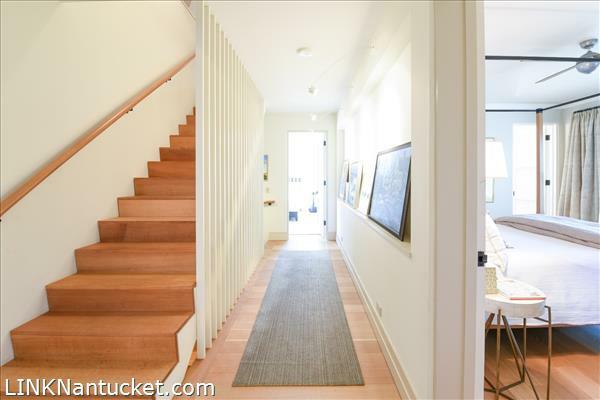 The second floor is divided into two distinct spaces, each accessible from its own separate staircase. 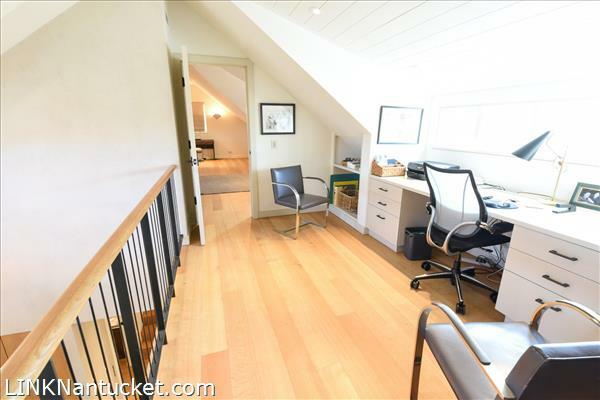 The area on the east side of the property features an open living space that leads to an office, which overlooks the dining nook on the first floor. 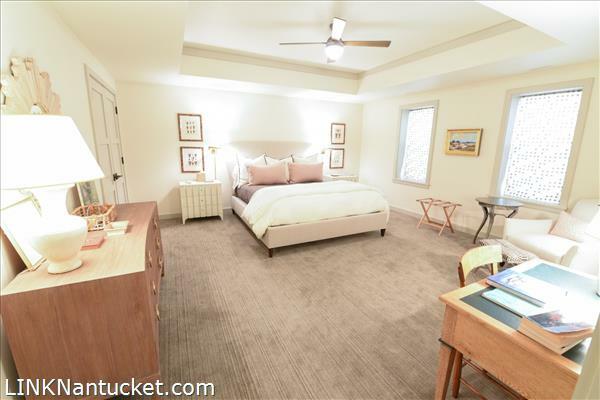 The west wing of the second floor has a hallway that leads into the master suite. 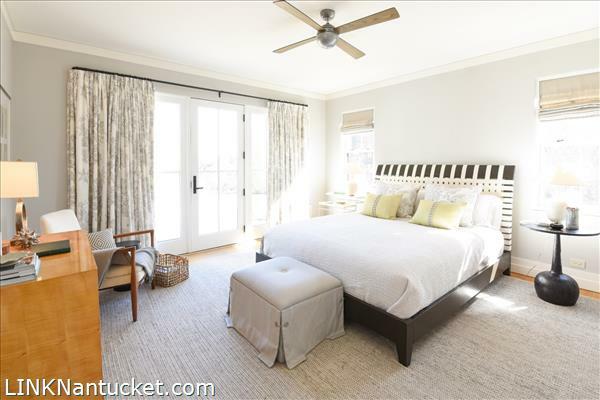 This space features a bedroom highlighting a wall of full-length windows that overlook the foyer, a walk-in closet, and a private entrance onto the porch. 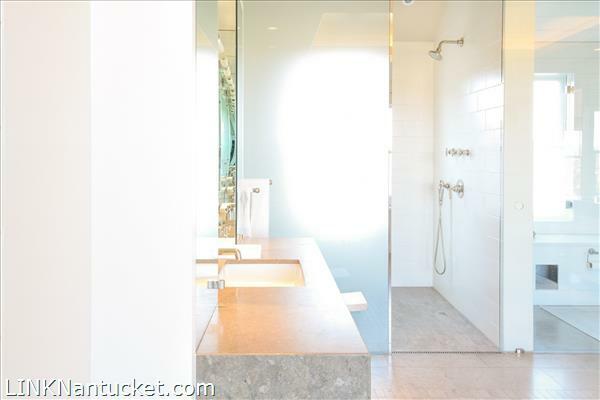 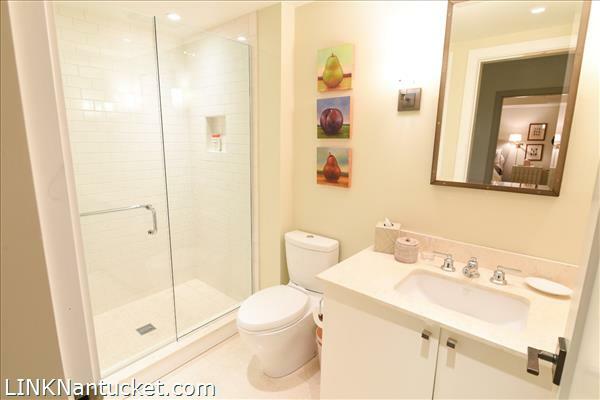 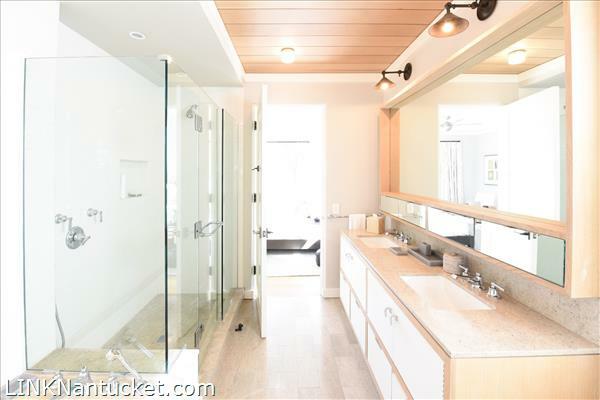 Off of the bedroom is an en-suite bathroom with two sink/vanity areas, a bathtub, shower, and built-in cabinets.